What exactly is the “best” when it comes to finding the best exchange-traded funds? The answer depends on your criteria. 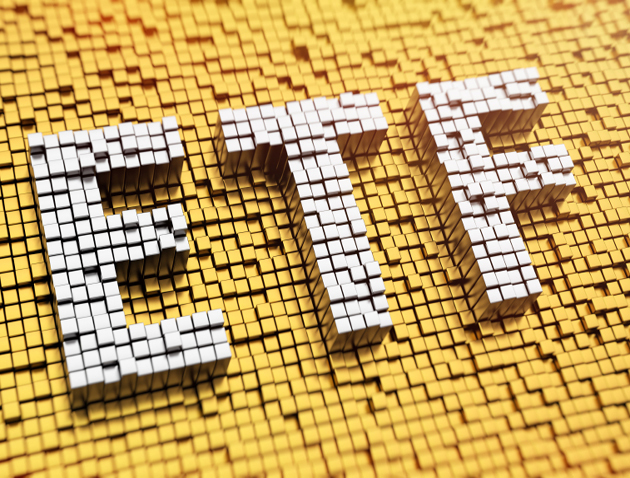 Some may say that the best ETFs are those that provide the best long-term performance. Conservative investors may assign the “best ETF” label to the fund that keeps pace with a benchmark, or even underperforms it, if it throws off a good yield or has a negligible expense ratio. Much depends on your individual risk profile and your time horizon. With over a thousand ETFs out there, many of them duplicates, sorting through them all can be a challenge. 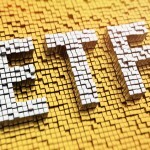 I’ve tried to shorten the process for by picking the three best ETFs from a specific category. Today, I’m looking at mid-cap growth ETFs. This sector is probably under-represented in the portfolios of conservative investors, which is too bad. Mid-cap stocks have greater long-term appreciation potential than large caps. According to ETFdb.com, there are 10 mid-cap growth ETFs, with expense ratios ranging from just .09% to 1%. They are definitely not all created equal. Their year-to-date (YTD) returns range from a loss of .2% to a gain of 11.76% as of Nov. 14. For aggressive investors, I suggest ProShares UltraPro MidCap 400 (UMDD). This ETF is technically in the “blend” category since it has both value and growth stocks, but it’s clearly going for growth. It’s a leveraged fund that seeks to achieve three times the performance of the S&P MidCap 400 Index. The fund is up 17% so far this year. More than 75% of the fund’s assets are invested in international stocks. The expense ratio is high at 0.95%. It is well-diversified with 424 stocks. The largest holdings of this “best ETF” are complex swaps and derivatives to achieve the leverage. The actual stocks it holds include Equinix (EQIX), SL Green Realty (SLG), Skyworks Solutions (SWKS), Advance Auto Parts (AAP), and Hanesbrands (HBI). For the more conservative investor, I suggest Vanguard S&P Mid-Cap 400 Growth ETF (IVOG). It’s a classic Vanguard low-cost offering with a tiny .2% expense ratio. This “best ETF” is up 6% YTD. I like the diversification with 252 holdings. The top ten only account for 11.3% of the total asset base. There’s little chance of the whole thing blowing up and the biggest holdings aren’t going to move the fund that much. Most of the names aren’t terribly familiar. Hanesbrands holds the top spot, followed by Endo International (ENDP), Salix Pharmaceuticals (SLXP), Polaris Industries (PII), and B/E Aerospace (BEAV). The fund also offers sector diversity. It has 10% of assets invested in financials, 18% in tech, 3% in consumer defensive, 12% in healthcare, 6% in energy and 21% in industrials. Consumer cyclical has a large presence at 19.32%. There’s a gentle 5% real estate allocation. Because mid-cap growth stocks have a lot of volatility compared to lumbering giants, the fund turnover is 35% per year. Growth stocks also carry higher price-to-earnings ratios, but the fund’s average P/E of 22 matches the benchmark. This ETF is nice and safe, as we’d expect from Vanguard. The best ETF for all-around mid-cap growth holdings, Guggenheim MidCap 400 Pure Growth ETF (RFG), is from the same group as my pick for the best ETF for large-cap value. I like Guggenheim’s stock-selection strategy. The approach isn’t to just throw everything from the index into the ETF, but to fill it with stocks that fit Guggenheim’s approach. The firm promises to identify and weight the best growth stocks based on sales, earnings growth and price momentum. This ETF holds 97 stocks, which offers less diversification than its index-driven counterparts, but that also means higher likelihood of outperforming long-term. That’s what we’ve seen from it so far. Now, you may wonder why I’m picking RFG as a “best ETF” when returns are basically flat so far this year. That’s because it outperforms its benchmark by 2-3% over most time periods. The top ten holdings account for 22% of the assets, which is about the highest percentage I like to see in an ETF. The sector breakdown is 20% financials, 7% energy, 11% health care, 19% consumer cyclical, 13% tech, 24% industrial, and 2% consumer defensive. The “pure” approach has led it to include the following in its top five holdings: Salix Pharmaceuticals, United Therapeutics (UTHR), Trinity Industries (TRN), Synovus Financial (SNV) and Umpqua Holdings (UMPQ). It has a reasonable expense ratio of 0.35%. Disclosure: Lawrence Meyers owns RFG. Article printed from InvestorPlace Media, https://investorplace.com/2014/11/best-etfs-mid-cap-growth/.